Three kickstarter projects caught my eye over the last week and they're all a little different from my usual games fare. Firstly, I plunged in a bit blindly to back NGo, New Global Order. It had been on ks previously and taken down, clearly not going to reach its target. The new campaign came in at such a low threshold that I doubted the project leader quite a lot. My due diligence was warning me off I have to say. But when you look at the enthusiasm, the quality of the presentation, I was a bit keener. Half of the issues seemed to be around language with the project leader speaking Spanish. Once other backers got involved the rule book translation took off and this again encouraged me to back. 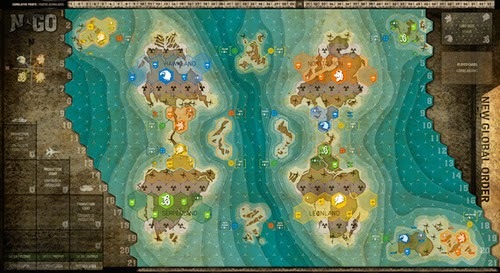 I love the look of the map, but then you'd do well to design a map I didn't like! The components look interesting too. Anyway, I'm fully committed and I hope they manage to produce the game in due course. 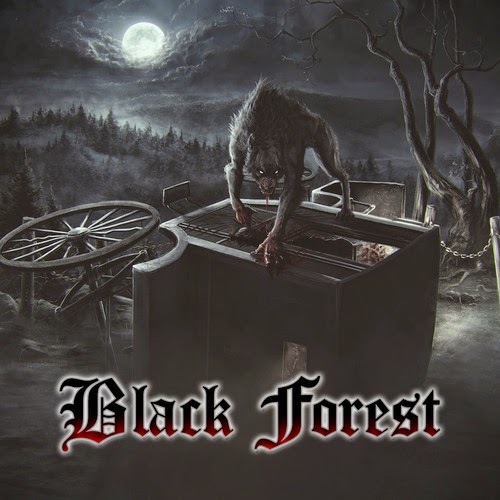 Second up was the wonderful art of Black Forest. I'm not that into the gothic vibe despite visiting the Plage Noir festival in Northern Germany the year before last. However, this looks to me quite 'vicious': scary, angry, and that appeals. With worker placement, card drafting and a hidden traitor as the main mechanics I was hooked. Both of these are slightly on the high side budget wise but both need support to get two well-thought through games to market. That's what ks is all about and I'm happy to help where possible. My third punt was a little easier. Based in England, designer Koen is another full of enthusiasm. 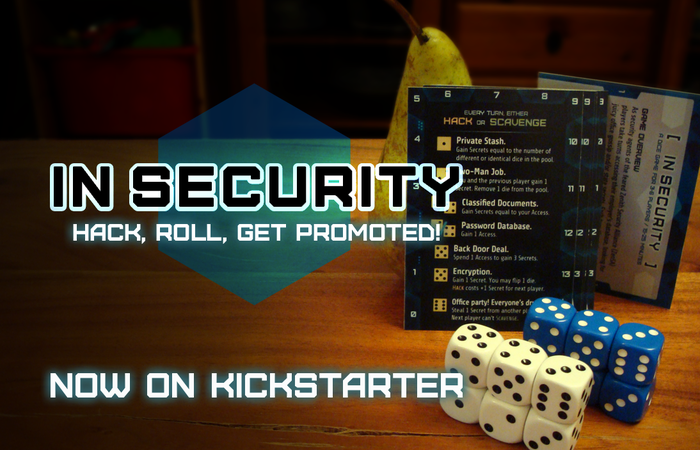 He won a game design contest on BGG with his 'micro-game' In Security. Value for money wise this project couldn't be cheaper, £2. Wow! Although it's a dice game a lot of gamers will have some dice they can use and so for your £2 you get the rules which come on the back of players' mats. Playing 2-6 over 20 mins it sounds a lovely little filler. Koen also had a rather low threshold of £250. Another wow from me. Needless to say he's picking up backers pretty easily.